About 4 to 5 working days for standard delivery by DHL (in addition to 10 working days production time). Delivery costs starting with 6 euros. You will be able to select your delivery method at your shopping bag. We love this pink gown from Elena Perseil's latest collection and we think it's the best choice for a fairytale wedding. 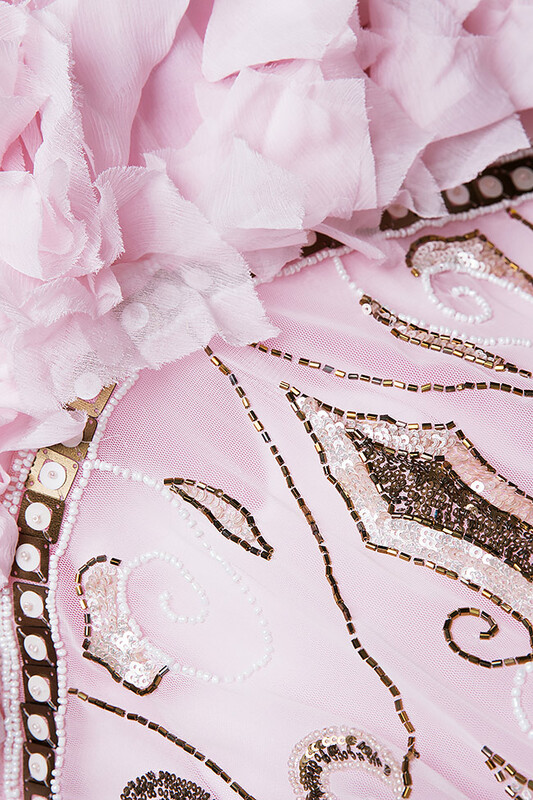 A true feat of couture-like craftsmanship, each one takes hours to make by hand - even the tulle is carefully hand-dyed, and each silk band stitched on by an artisan. The slim bodice is hand-sewing. This piece will make such a striking alternative to a classic white bridal dress. Material: 100% silk; Lining: 100% silk; tulle: 100% polyester.